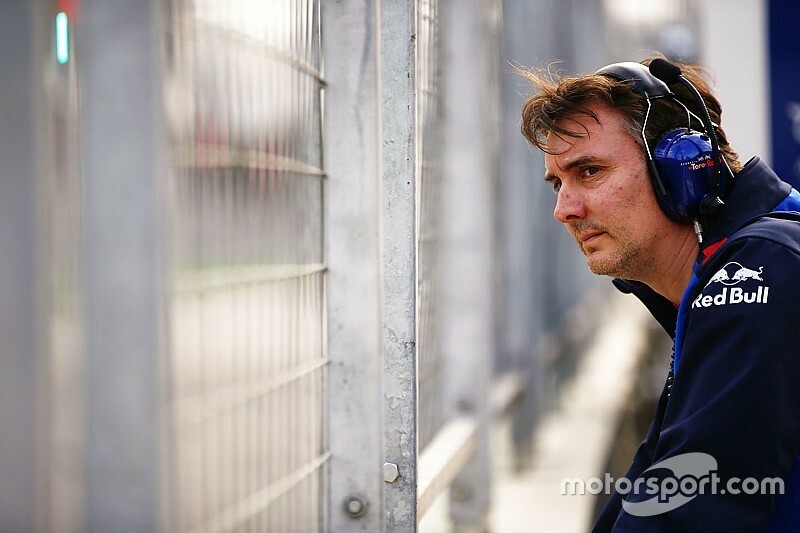 McLaren-bound Formula 1 technical director James Key will not be directly replaced at Toro Rosso because of the team's closer technical alliance with the senior Red Bull outfit. As previously reported, Toro Rosso's 2019 car will use as many Red Bull-designed parts as possible, a move partly inspired by the shared use of Honda engines. Red Bull motorsport advisor Dr Helmut Marko has revealed that the closer ties will mean Toro Rosso does not hire a replacement for Key, who is set to join McLaren in 2019. "We can't have almost the same technical team in Faenza [Toro Rosso's base] as in Milton Keynes [Red Bull's factory] in terms of the number of people," Marko told Motorsport.com. "The concepts were worked out. These concepts [more Toro Rosso reliance on Red Bull] have not been fully implemented to this day. "One factor was that James Key was not so happy with them. All in all, the solution we wanted is finally there. And it was easier without James Key. "The position will not be filled. The technical director, in this sense, is no longer necessary because the concept [for the car] comes from Red Bull Racing." F1 rules stipulate teams are responsible for building a certain number of components, however there are 'non-listed parts' that can be sourced from a competitor as long as strict aerodynamic testing restrictions are adhered to. As Red Bull will join Toro Rosso in using Honda engines in 2019, the junior team will use a Red Bull-designed rear end as well as some front suspension parts. Toro Rosso will utilise 2018 parts because Red Bull is famous for pushing its contemporary design as close to the start of the season as possible. Marko said that it was not logistically possible for it to produce enough parts for four cars without compromising pre-season preparations, but said that Toro Rosso, which finished ninth of the 10 teams in 2018, must still target "fifth or sixth place". "The concept is no longer a secret: Toro Rosso has received three trucks full of parts and will take over many parts of the 2018 car from Red Bull Racing, as far as the regulations allow," said Marko. "The whole thing was made easier by the whole engine question. The complete rear end is from us, everything that is permitted according to the regulations. "This gives us a small advantage on the cost side." The Ferrari/Haas relationship has come under fire several times since the American team joined the grid in 2016, taking advantage of the listed/non-listed parts rules in the process. Marko said that the model of those two teams was "at the limit or over the top in terms of aerodynamics" but for Red Bull "this is a good model".